Belgian Sheepdog is a good looking muscular dog breed that carries himself with elegance. Male stands 26 inches at the shoulder and the females are slightly smaller. The dark eyes of the dog spark with intelligence and sharpness. These bright-eyed, sharp and bushy tailed pets are sportive and have a special bond with their masters. The earliest documentation of the true Belgian Sheepdog dates way back to the late 1800’s.It was the time when people in the European nations were developing the dog breeds that can be recognized by their homeland. The Belgian Shepherd Club was founded in the year 1891 for this purpose and the first Belgian Shepherd was adopted in the year 1893. 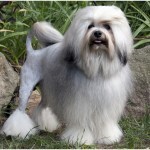 This long-haired dog was promoted by Nicolas Rose who was a restaurateur. He set up a thriving kennel in the year 1893 and this was the basis of the Belgian Sheepdog found today. The well-build Belgian Sheepdog is elegant, well-poised and muscular. One of the most striking features of the breed is its neck and head. 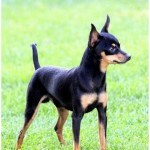 Male of the breed is 26 inches at the shoulder and females are smaller. Their dark and intelligent eyes sparkle with intelligence. They are bushy tailed and bright-eyed. They are strong, agile, muscular and graceful and look appealing. They have squared bodies and a long tail. They have long muzzles with dark eyes, erect and triangular ears. They have a long tail that should not be cropped. They have thick double coats that are either black or black with traces of white. 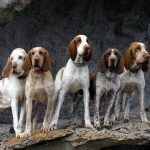 The four varieties of the breed can be distinguished by their coat and colors. All the varieties of this breed have the same underlying musculoskeletal structure. Its height from the ground to the top of the withers is exactly of the same length. It has a square build but resembles closely to the German shepherd. It has a domed forehead, square-cut muzzle, and black nose, pointed and fully-erect ears. They are described as highly intelligent, sensitive and alert. They are lovable and form a very special bond with their owners. Apart from that, they are highly intelligent, loyal, fun-loving, highly trainable and apt for being a playmate. As puppies, they need to indulge in a lot of socializing as they can be highly interactive with the people in their lives. They have a herding nature and hence they have a high level of energy, mental as well as physical. They can do well in the sports, highly obedient and agile. They can be used as assistance and as rescue dogs by the police. The dog breed should be fed on high-quality dog food whether you prepare it at home or prepare commercially or buy it from the market. Puppy, adult and seniors all have to be given the similar diet. The breed is prone to get overweight, so take care of the calorie consumption of the dog and its weight. There are certain human foods which are safe for this dog; you need to consult the vet about the diet of the dog. The dog should not be overfed and it needs a plenty of exercise. Take care for not giving the dog a bath unless required badly as he tends to shed if you do so frequently. However, give them bath often during the shedding season. Do not get shocked about how your Belgian sheepdog begins to look after he goes shedding, as his hair grows back soon. 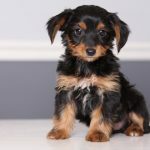 If you want to get a healthy dog, you should never buy a puppy. Before buying them, you need to take care that they are free from the genetic diseases.